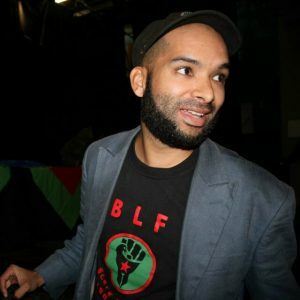 Solidarity today announced that it had already instructed its lawyers to draft court papers to hold BLF spokesperson Lyndsay Maasdorp liable for, among other things, the remarks he had made in the wake of the Hoërskool Driehoek tragedy late last week. Many parents and friends of the victims have approached Solidarity to institute legal proceedings against Maasdorp after his comments welcoming the death of the school children had sparked widespread reaction. “Although this is not the first time Maasdorp makes himself guilty of racist remarks his most recent ones mark a new low. As a society we should not tolerate a person who celebrates the death of four children and that just because they are white. The spoken word has consequences and statements such as those do not belong in our society. In this instance a clear message must therefore be sent that such statements are contemptible and unwelcome,” Connie Mulder, head of the Solidarity Research Institute said. According to Anton van der Bijl, Solidarity’s head of Labour Law Services, Solidarity plans a threefold legal strategy that includes a charge of crimen injuria against Maasdorp and a charge under the Equality Act. “Maasdorp committed a criminal offence and we believe it deserves a heavy penalty,” Van der Bijl said. According to Van der Bijl, Solidarity would also review the complaint it had filed against the BLF with the Independent Electoral Commission (IEC) last year in the light of recent events. “A party that makes itself culpable of racism should not be allowed to participate in the democratic process, and we will also argue it as such before the IEC,” Van der Bijl said. Mulder indicated that Solidarity would announce the court action and litigation strategy it would institute against the BLF at a press conference to be held next week. “Out of respect for the families the date of the press conference will only be announced at a later stage after the funerals,” Mulder confirmed.